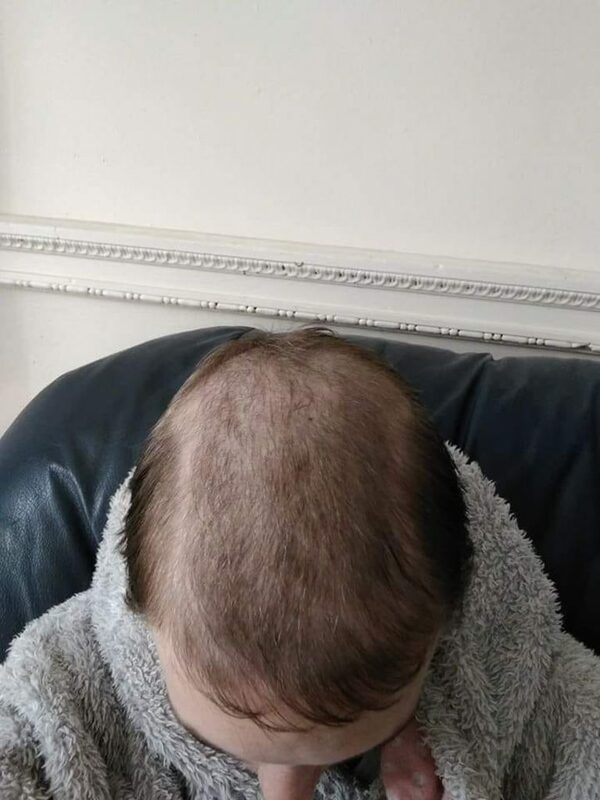 A mum who has spent years battling a compulsive hair-pulling condition has decided to ditch the wigs she used to cover her bald patches and bravely shave her head. 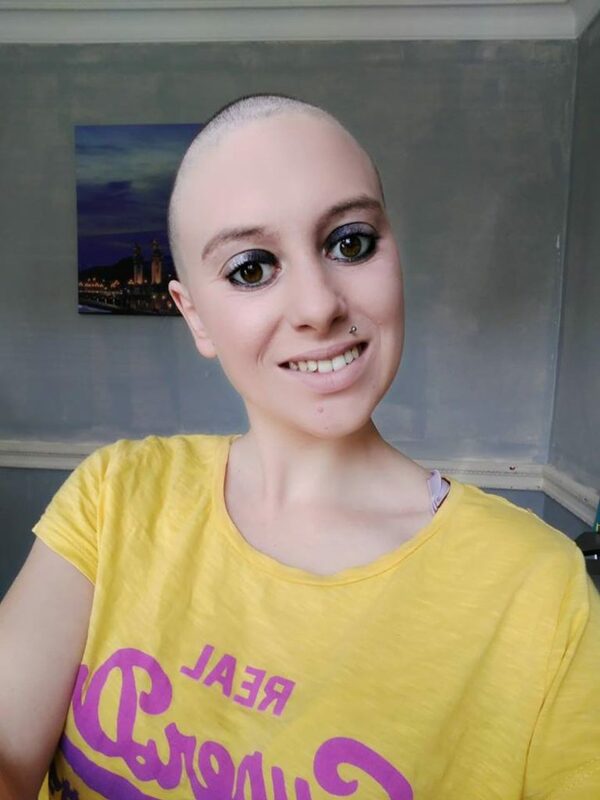 Siobhan Hudson was tormented by vile school bullies who said she looked like she had cancer after she started to pull strands of her hair out when she was 16 years old. 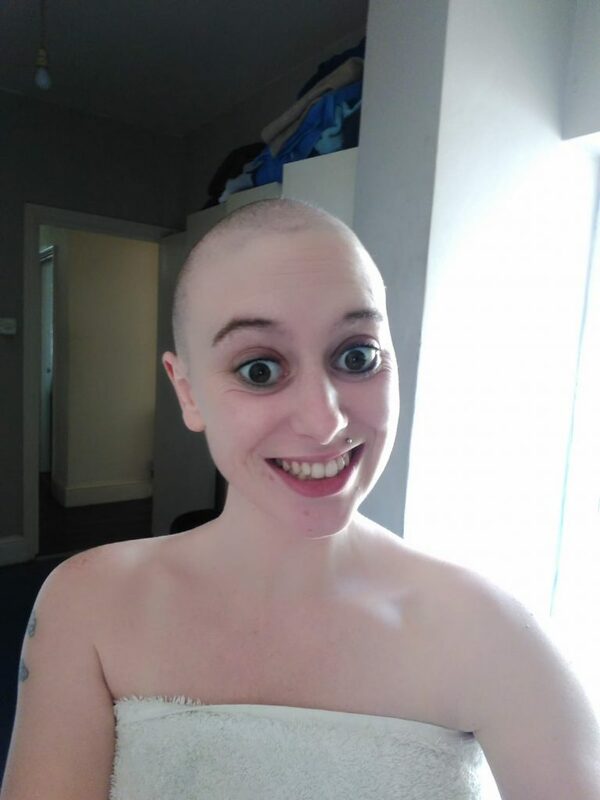 Having spent years applying brown eyeshadow to her head to try and cover the patches and spending hundreds of pounds on hair pieces the 26-year-old has decided now is the time to embrace her baldness by shaving her head. 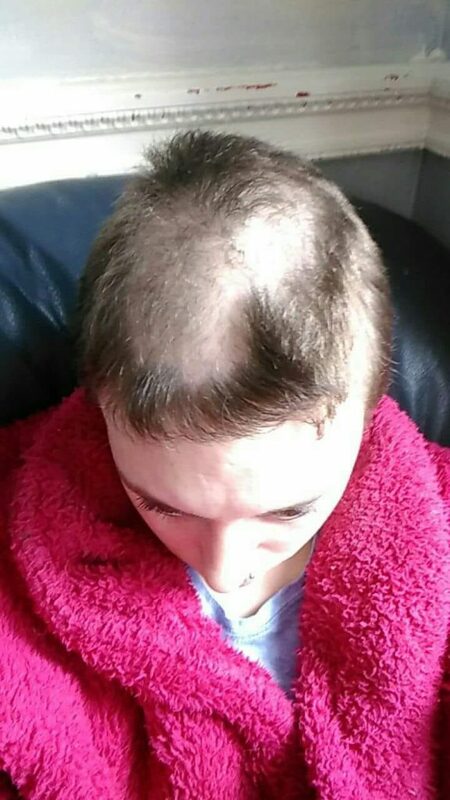 The mum-of-two, who often hides in the bathroom to ensure her two young children don’t see her pulling, suffers from a rare condition called Trichotillomania – an impulse control disorder meaning she can’t resist pulling her hair out. Siobhan, from London, said: “I started pulling when I was 16. I was in foster care and had been in about seven foster homes. “I was treated pretty badly in one of them and ended up in a children’s home. It was a very stressful time for me. “I was sat at my computer then I started pulling the hair, I liked the feeling. I would pull one strand at a time around the crown area. “There was a feeling of release. It took all the stress away and the more I pulled the more it helped. It’s a physical and emotional feeling of relief. “I started pulling the odd strand and then gradually I started pulling more until I was pulling about 50 to 70 hairs at a time. “I was doing it every single day even at night time. When I was unable to sleep I would just keep pulling until my arms got tired then eventually drop off to sleep. “I still do it when I’m bored or if I’m feeling stressed or feel things are getting too much. The stay-at-home mum said it took about three months for her to realise she had a problem but it was another two years before she found out there was a name for the condition. 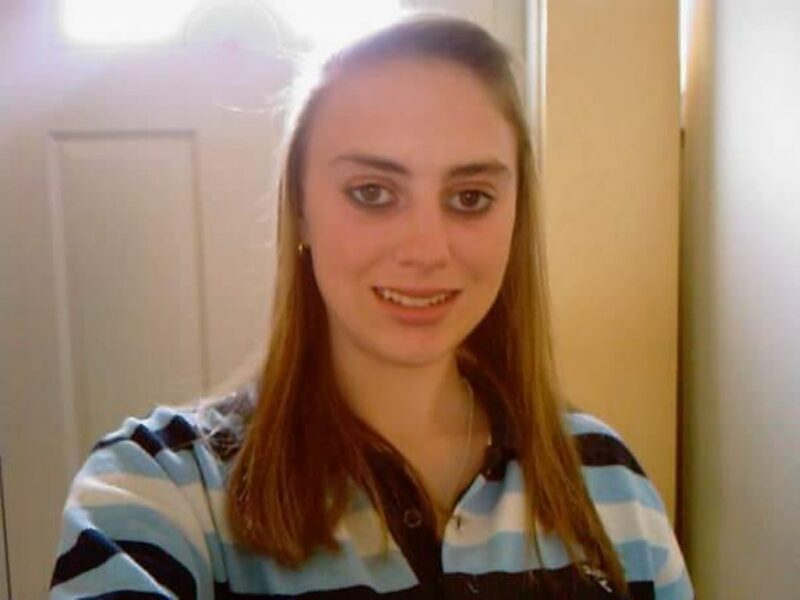 Siobhan said: “I hadn’t heard of trichotillomania. It was only when I was reading a magazine one day that I saw an article and thought that must be what I had. “I then went to a doctor but I felt like they looked at me as if I was stupid. “They didn’t know what to suggest to me. I don’t think there was enough information out there about it, I haven’t been back since. Siobhan has a number of techniques for controlling the urge including wearing long acrylic nails that stop her from being able to grab a strand of hair, putting plasters on her thumbs and fingers and playing with fidget toys. As a teen she started wearing wigs when classmates started noticing her bald patches and asking if she had cancer. Siobhan said: “I felt really bad because there are people who lose their hair because of cancer and I’m pulling mine out. “Other kids would point at the bald spot and ask what it was. It made me feel so depressed and I didn’t want to go to school. “I was using brown eyeshadow to try and cover up the bald spots. “But then the staff at the children’s home were amazing and took me out to buy a wig. “The kids I was living with were a nightmare. One of the lads would pull my wig off and run around with it. I would feel really embarrassed. “It’s been an everyday part of my life – covering myself up and hiding away and not feeling normal. “I had really low self-esteem, my confidence hit rock bottom. 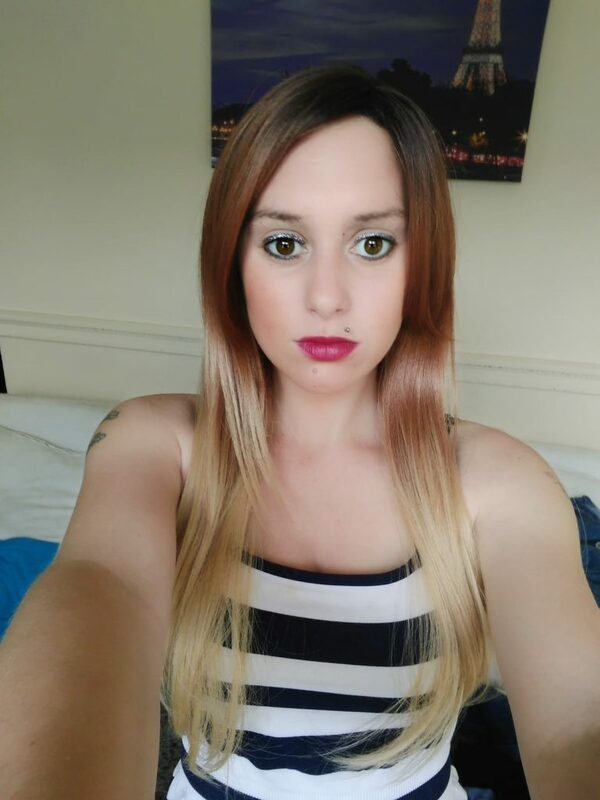 As she got older Siobhan used to lie to boyfriends about her condition – telling them she had alopecia and that’s why she had to wear wigs. Now years later and sick of feeling like she’s hiding away Siobhan made the brave decision to shave her head and ditch the wigs. Single Siobhan said: “I’ve shaved my head before to try and make me stop. I think if I shave it I have nothing to pull. “It’s only recently that I decided to go out with a bald head. “I had a moment where I thought ‘I can’t keep going out like this’. “I’d been spending a lot of money on wigs, about £140 every three months, which was another reason. I’m trying to give up wigs now. “When I first went out bald I came across a few small-minded people who stared and whispered but I thought to myself ‘rise above it’ and I didn’t let it get to me. “I told myself ‘they don’t know what you’re going through’. It was about saying ‘this is me’ and who I am. “I felt empowered and I’d never felt so confident in all my life. “I think it was because I was willing to accept what I’ve got and that nobody is perfect. 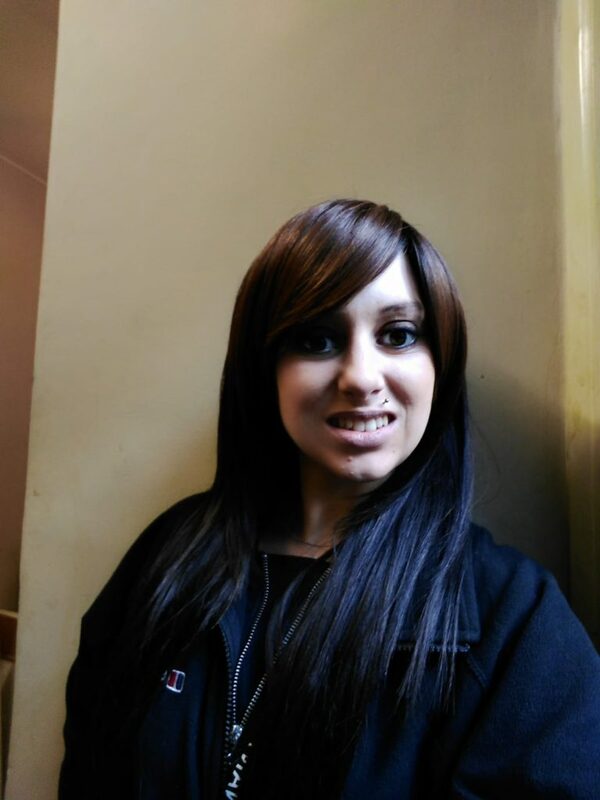 “I also want to raise awareness of trichotillomania so that people are not so judgmental about it. “There are lots of different reasons why people have a bald head – you’re born bald and if you’re a man it’s acceptable but if you’re a woman you feel like you’re being judged. “There’s a lack of understanding. People will tell you to just stop pulling but they don’t understand it’s a compulsion and it’s not that simple. “People think you can control it or that it’s a habit. I tell them it’s something I do that I can’t control. “I think I’ve turned a corner now and going out without my wig and not caring about it is the bravest thing I’ve done. Trichotillomania, also known as trich, is when someone can’t resist the urge to pull out their hair. Sufferers may pull out the hair on their head or in other places, such as their eyebrows or eyelashes. Symptoms include an intense urge to pull their hair out and they experience growing tension until they do. After pulling their hair out, they feel a sense of relief. It’s not entirely clear what causes trich, it could be a way of dealing with stress or anxiety, a chemical imbalance in the brain similar to obsessive compulsive disorder (OCD), changes in hormone levels during puberty or a type of self-harm to seek relief from emotional distress.